One of the most unpredicted outcomes of the space program was the Gaia hypothesis, the theory the biosphere itself works to regulate the temperature and chemical content of the Earth’s atmosphere. According to Gaia theory, life is a planetary-wide phenomenon that alters the environment on a planetary scale. 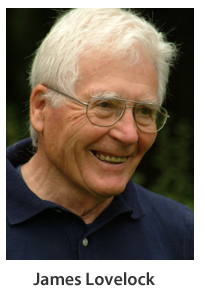 In 1961, atmospheric scientist James Lovelock was hired by NASA to study the detection of life on Mars. Lovelock looked at the atmospheres of Venus, the Earth, and Mars, and concluded that the presence of life on any planet would be reflected by chemical changes in the atmosphere of that planet. What Lovelock saw was straightforward but startling (see figure below). 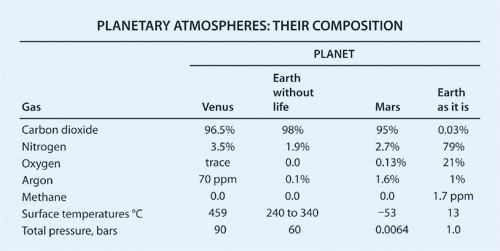 The atmospheres of Venus and Mars contained over 95% carbon dioxide with only trace amounts of oxygen. By contrast, the atmosphere of the Earth contains 21% oxygen with only a trace amount of carbon dioxide. The average surface temperature on the earth is 55˚ Fahrenheit, because the carbon dioxide level is so low. But without the presence of life on Earth, carbon dioxide would make up 98% of the atmosphere and the average surface temperature of the planet would be somewhere between 464 and 644˚ Fahrenheit. Without the presence of life, the climate of the Earth would be incredibly inhospitable. Table of Planetary Atmospheres, after Lovelock, The Ages of Gaia. When the Earth was formed billions of years ago, the atmosphere was almost entirely made out of carbon dioxide, just like Mars and Venus. But with the emergence of blue-green bacteria and photosynthesis, carbon dioxide became a life-giving food. In the alchemy of Earth’s primordial oceans, the living metabolism of bacteria transmuted carbon dioxide and other elements into an expanding tapestry of life. The metabolic activity of the first bacteria started to give birth to a planetary-wide physiology. These first blue-green bacteria removed carbon from the atmosphere, which cooled down the planet, and gave off oxygen as a waste product. But around two billion years ago, the process gave rise to a planetary crisis—an “oxygen holocaust”—when too much oxygen had accumulated. Oxygen itself was highly toxic to the first bacteria. This planetary-wide crisis provided a window of opportunity, however, when a new type of blue-green bacteria finally learned to synthesize oxygen into life-energy. Over immense periods of time, the biosphere transformed the atmosphere into its present composition. The atmosphere so composed was an atmosphere friendly to life, both in terms of its content and its stable, hospitable temperature. While other planetary scientists had supported a “Goldilocks theory”—assuming that the temperature and atmospheric composition of the Earth had been “just right” for the emergence of life by chance—Lovelock showed that life itself had altered the planetary environment. Lovelock proposed that “the evolution of the species and the evolution of their environment are tightly coupled together as a single and inseparable process,” a claim that was supported by his colleague, the microbiologist Lynn Margulis. Moreover, Lovelock and Margulis claimed that Gaia was a testable, scientific hypothesis. During the past 4.5 billion years, solar luminosity has increased by at least 10–30%. But the Gaian superorganism has successfully maintained a steady temperature through its metabolic processes. When critics complained that Lovelock’s theory smacked of teleology or design, he created a simple computer model called Daisyworld. Daisyworld contains two types of daisies, white and black, that naturally live in a certain temperature range and absorb different levels of heat. If the temperature is low on Daisyworld, the black daisies flourish because they absorb more heat. This causes the planet to warm up. If the temperature is high on Daisyworld, the white daisies flourish and reflect heat back off into space. Even if the luminosity of Daisyworld’s sun increases substantially, Daisyworld itself maintains a constant temperature—until the environmental conditions caused by the solar warming become just too extreme for the biota to regulate. Lovelock had proven that life can act like a planetary thermostat, and more complex models with twenty shades of daisies produced the same result. In addition to holding the temperature constant by reducing carbon dioxide, life has regulated the amount of oxygen in the atmosphere. Right now oxygen makes up 21% of the atmosphere, a level that must have remained constant for over 300 million years. If the concentration of oxygen was just a few points higher, devastating forest fires would engulf the planet. But if the oxygen level was a few points lower, animal life would perish. As biologist Lynn Margulis points out, “life does not exist on Earth’s surface so much as it is Earth’s surface. . . . Earth is no more a planet-sized chunk of rock inhabited with life than your body is a skeleton infested with cells.” Gaia’s radical challenge to traditional Darwinian biology is that life influences the environment. For Darwin, life was essentially passive, a process that was forced to adapt to a specific environment. 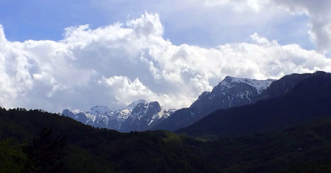 Gaia theory shows that life and environment evolve as a single, coevolutionary process. On Earth, all life is an embodiment of the planetary environment, but the planetary environment is also product of life. Gaia theory and the new biology embodies the circular, metabolic logic of life. The universe brings forth life and mind—but life and mind work to shape the universe. Life and environment are folded back on themselves in a self-referential, evolutionary spiral. Gaia is not a single organism, but a superorganism. Like the single organisms of which it is comprised, it is self-regulating and autopoietic. Like my own body composed of many individual cells, Gaia has its own metabolism. As we breathe and exhale, we participate in the life-breath of the entire biosphere. Gaia theory is strongly supported by complexity science, which shows how complex systems with feedback loops spontaneously self-organize and develop metabolic patterns. 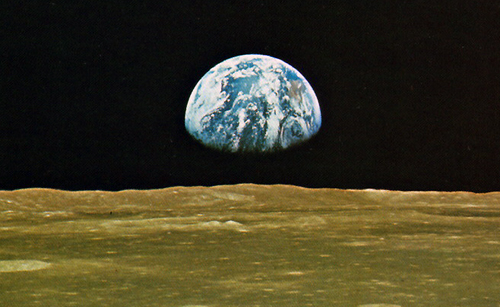 From the Gaian perspective, our own lives are totally inseparable from the life of the larger planet. For a discussion of the oxygen holocaust, see chapter six in Margulis and Sagan, Microcosmos: Four Billion Years of Microbial Evolution (Berkeley: University of California Press, 1997). James Lovelock, The Ages of Gaia (New York: W. W. Norton, 1988), 18. As he writes, “Through Gaia theory I now see the system of the material Earth and the living organisms on it, evolving so that self-regulation is an emergent property. In such a system active feedback processes operate automatically and solar energy sustains comfortable conditions for life. The conditions are only constant in the short term and evolve in synchrony with the changing needs of the biota as it evolves. Life and its environment are so closely couple that evolution concerns Gaia, not the organisms or the environment taken separately” (19–20). M. Newman, “Evolution of the Solar Constant,” in C. Ponnamperuma and Lynn Margulis, editors, Limits to Life (Dordrecht: D. Reidel, 1980). See also Lawrence Joseph, Gaia: The Growth of an Idea (New York: St. Martin’s Press, 1990), 121–25. See Lovelock, The Ages of Gaia, chapter 3. Margulis and Sagan, What is Life? (New York: Simon and Schuster, 1999), 28. 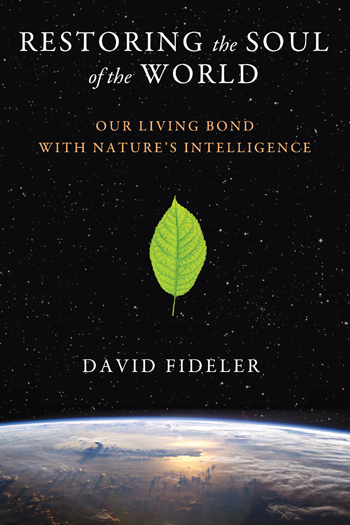 Reprinted from chapter 11 of Restoring the Soul of the World: Our Living Bond with Nature’s Intelligence by David Fideler. Copyright © 2014 by David Fideler. All rights reserved. May not be reproduced in any form without the written permission of the author.